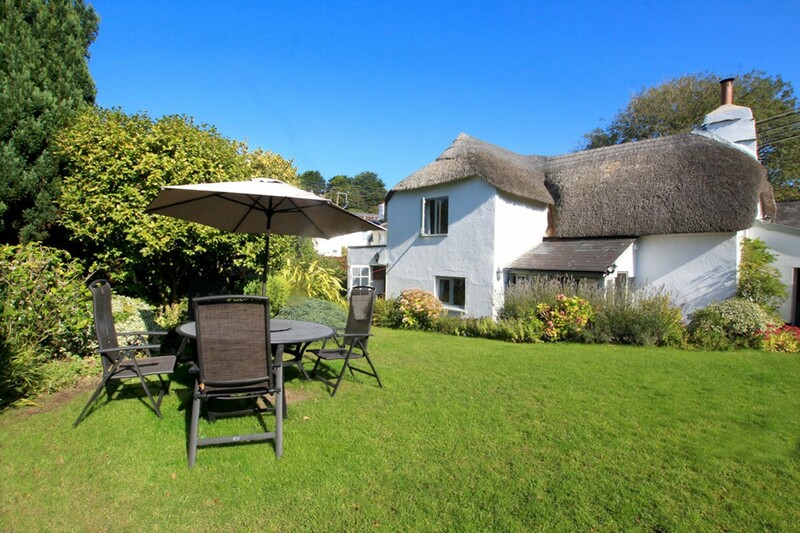 Perrymans Cottage is a charming thatched cottage in an attractive rural setting just a short drive from the coast in the heart of the pretty village of Georgeham. 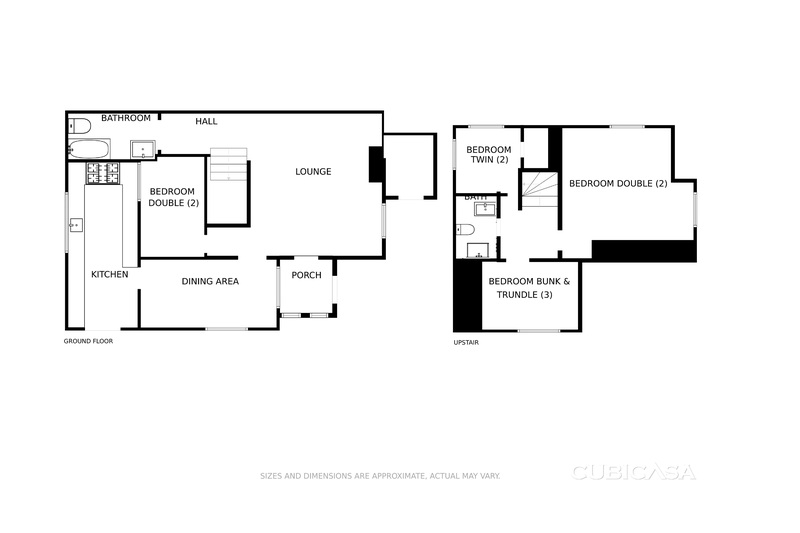 Designed with family life firmly in mind, this home from home property offers something for everyone whether inside or out. 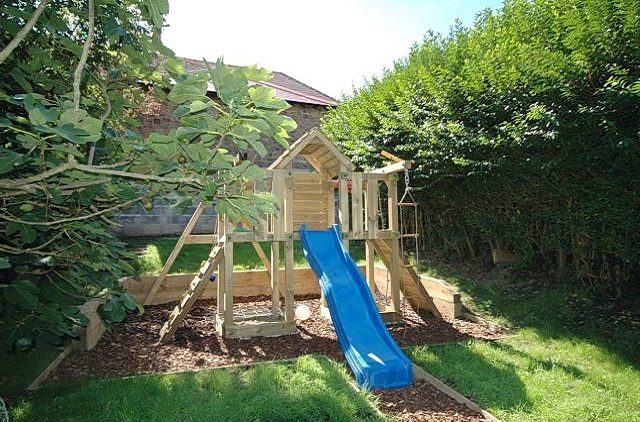 Children will enjoy exploring on the large wooden climbing frame, whilst parents enjoy al fresco dining surrounded by an traditional English country-styled garden. 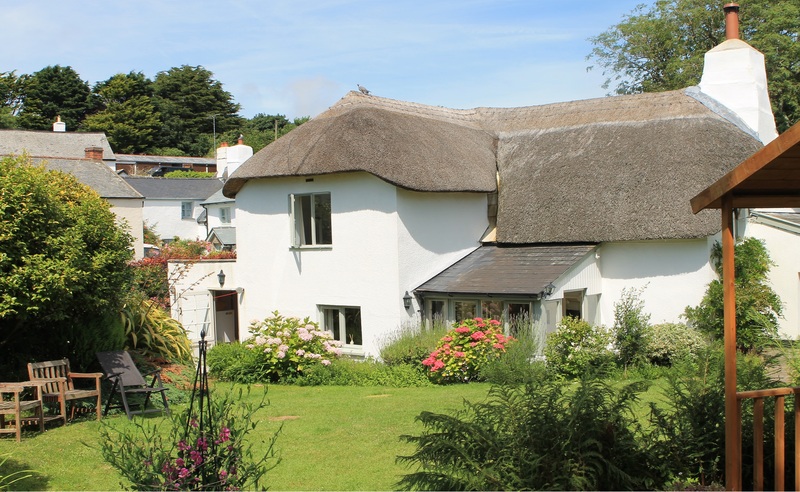 Once inside this thatched chocolate boxed cottage you will be welcomed by the effortless flow between the period characteristics and modern contemporary décor. 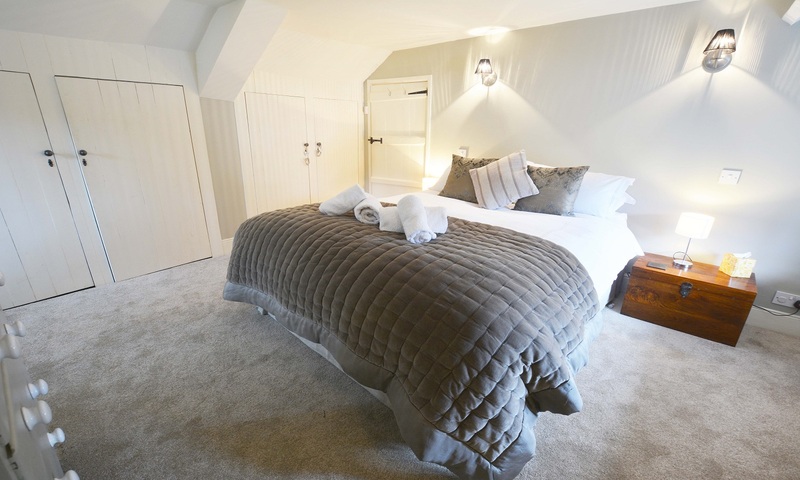 The beautiful stone whitewashed walls, latched doors, log burner and ceiling beams all mix timelessly with the shabby chic design and use of space from this well presented cottage. 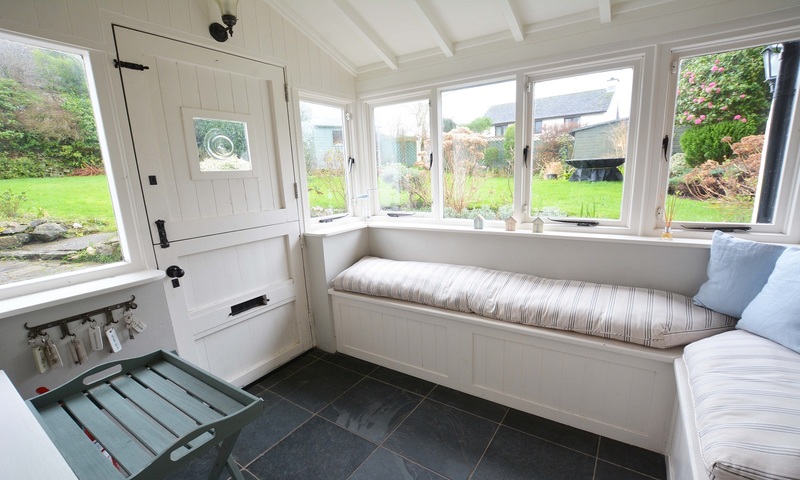 Sun room with boot / coat storage and seating area looking out over the country-styled garden. 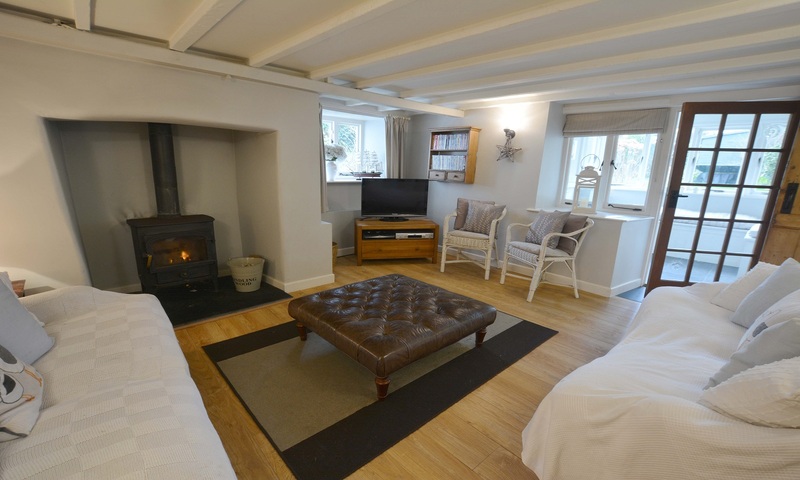 Living room provides comfortable seating with a log burner and flat screen Freeview TV Features include; DVD player, selection of books, DVDS, iPod dock and DAB Radio. 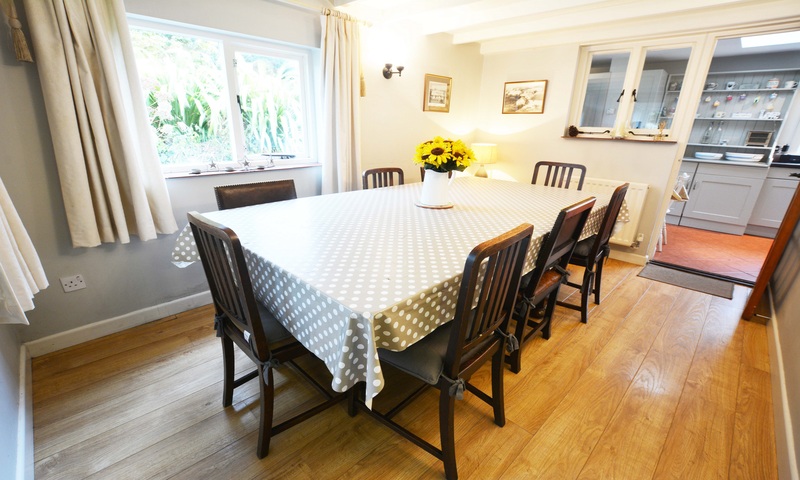 Dining room features a large wooden table with seating for 9 and 2 wooden high chairs. 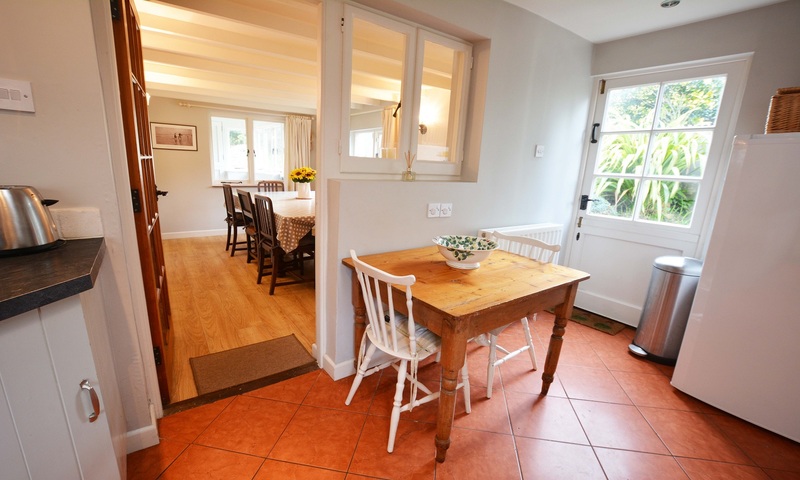 Kitchen/breakfast room is well equipped for an extended family and offers; a large Gas Range cooker,, dishwasher, toaster, rice cooker, blender/smoothie maker, larder fridge and washing machine. Nestled to the side is a small dining table and chairs. 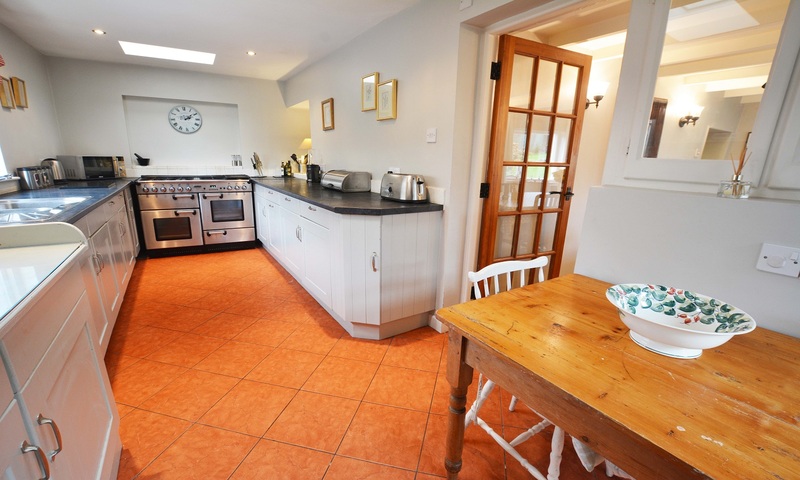 The separate utility room houses an under counter freezer, tumble dryer and secure storage for bikes/surfboards. 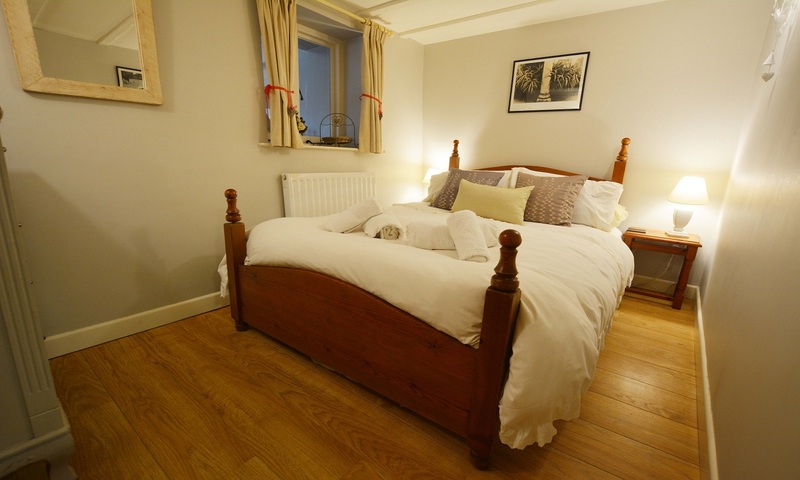 Bedroom Four - Small double bed with two bedside tables and chest of drawers. 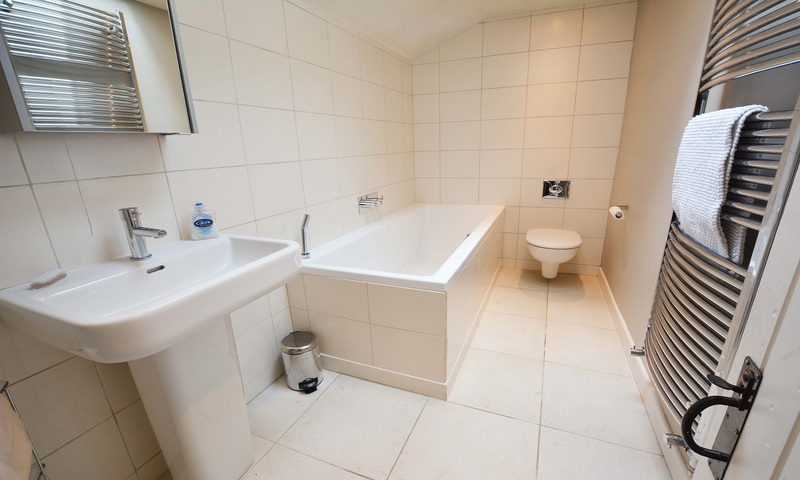 Ground floor white bathroom suite with bath and a hand held shower, washbasin, mirrored vanity unit, heated towel rail and W.C.
Master Bedroom - king sized bed with bedside tables, built in wardrobes and a pretty view over the garden. 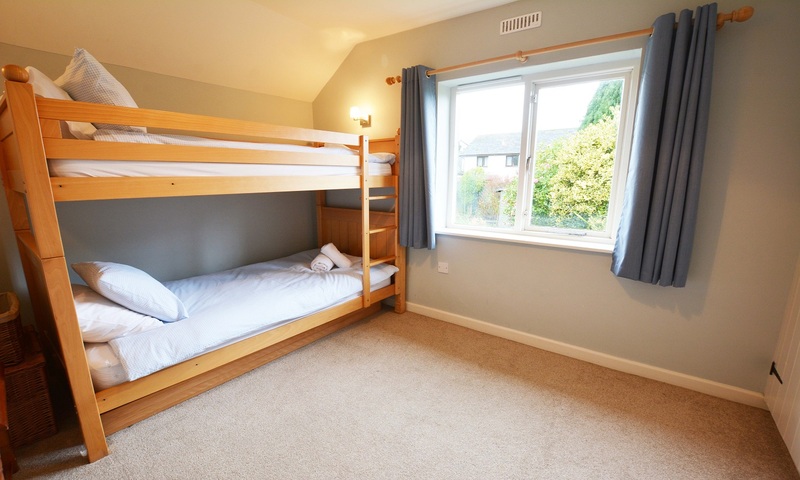 Bedroom Two - Bunk bed with single trundle bed beneath, built in wardrobe storage and views overlooking the garden. Bedroom Three - Twin beds (Double on request) two bedside tables and walk in wardrobe. 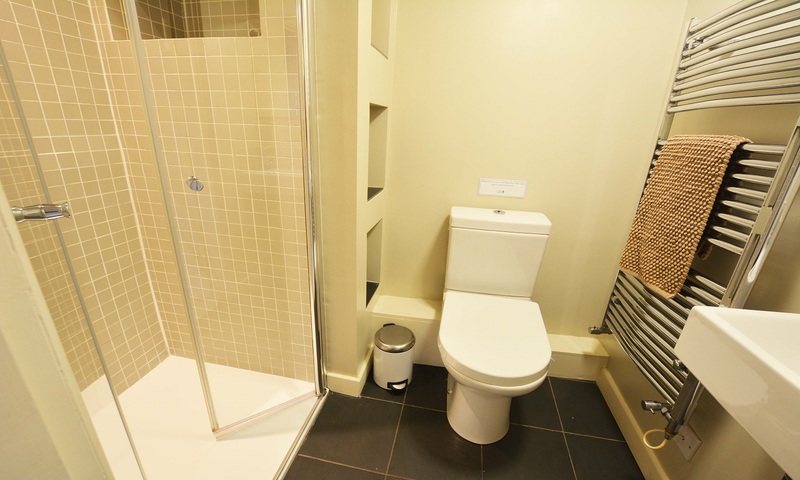 Family bathroom comprising of white suite with double shower unit, W.C, washbasin, heated towel rail and storage. 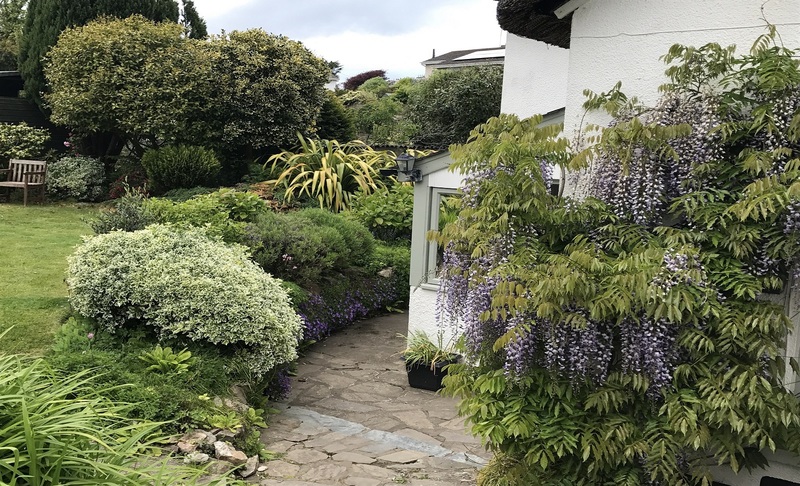 Large country themed garden that wraps around the rear of the property with plenty of outdoor space including a summer house brimming with children's games and a wooden climbing frame with slide. 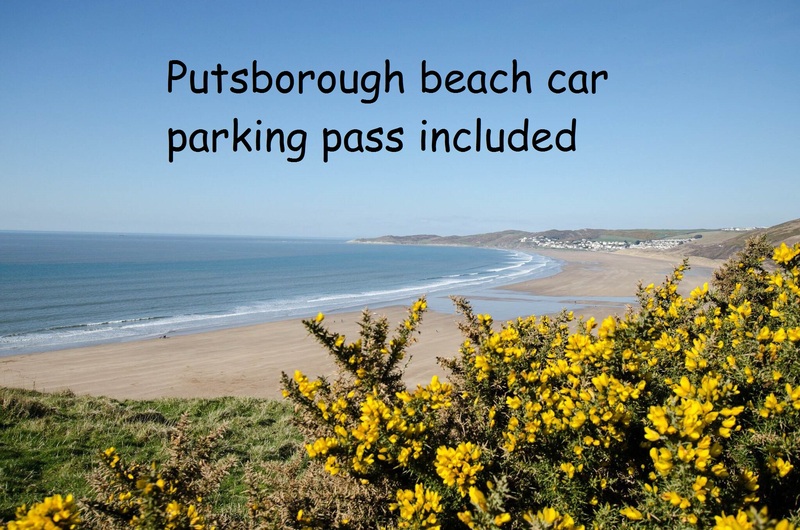 For the adults there is ample outdoor seating, a coal BBQ, surf board and bike storage and outdoor hose/washing facilities. 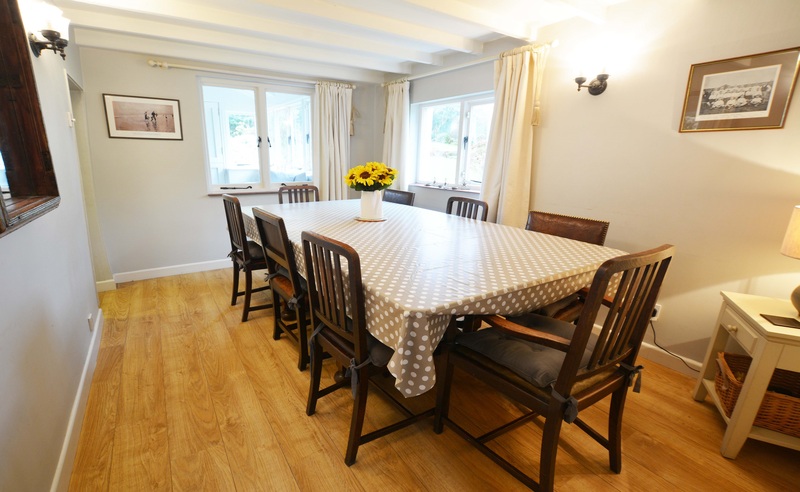 Parking in the garage (Medium sized vehicles) (30m down the road) or on the lane outside the house, additionally there is free village hall parking also available. 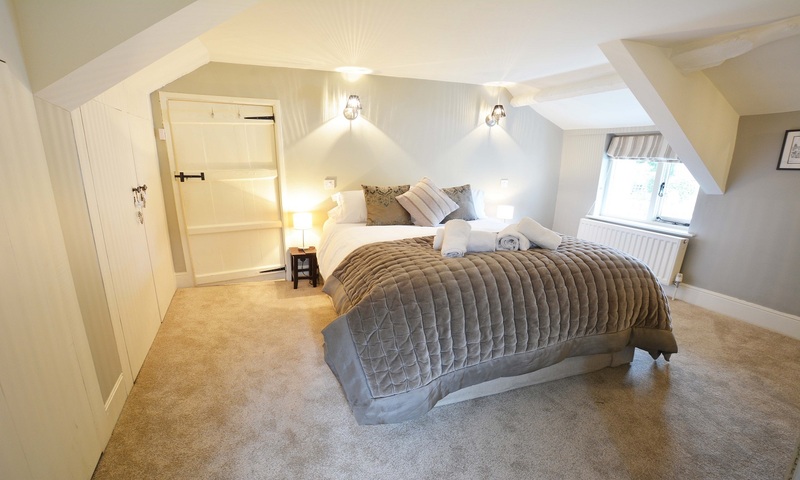 30% of the rental cost is required to secure the booking with the remaining balance due 8 weeks prior to arrival. 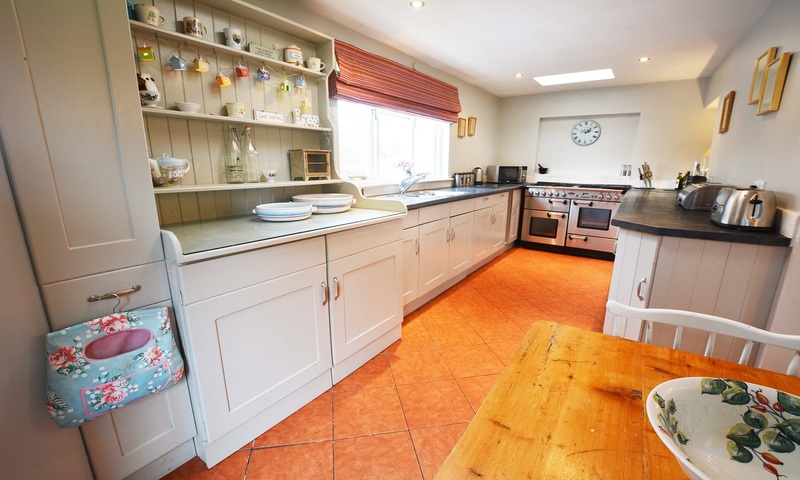 Lovely characterful house in a great location. Host was very helpful and quick to respond to queries. Kids really enjoyed the big garden, and it's fantastic being within walking distance of the beach. 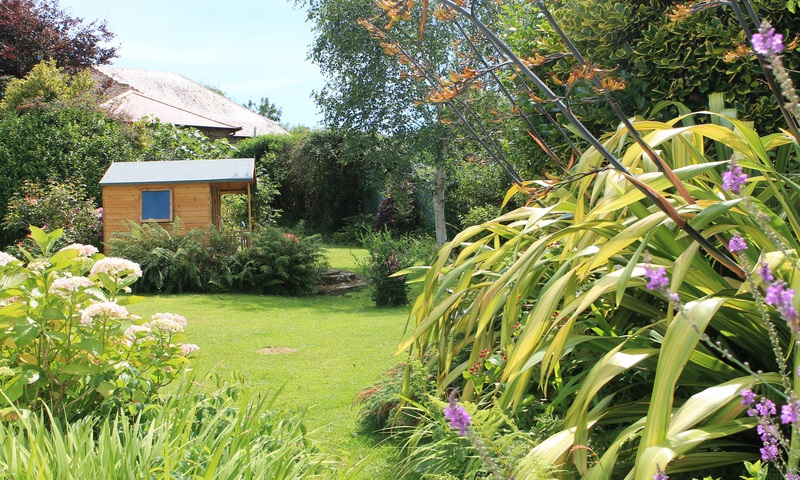 Fantastic chocolate box cottage, with a beautiful garden and all you need for a great stay. 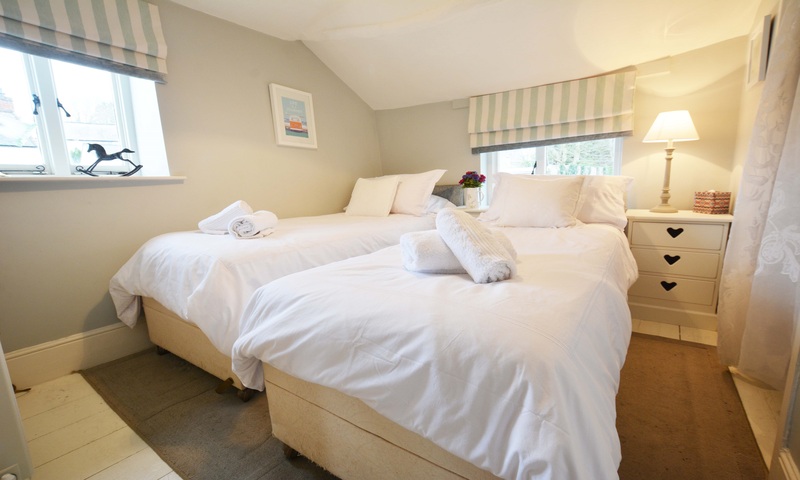 Perfect location for beaches and Croyde and just a walk form the pubs which serve great food.